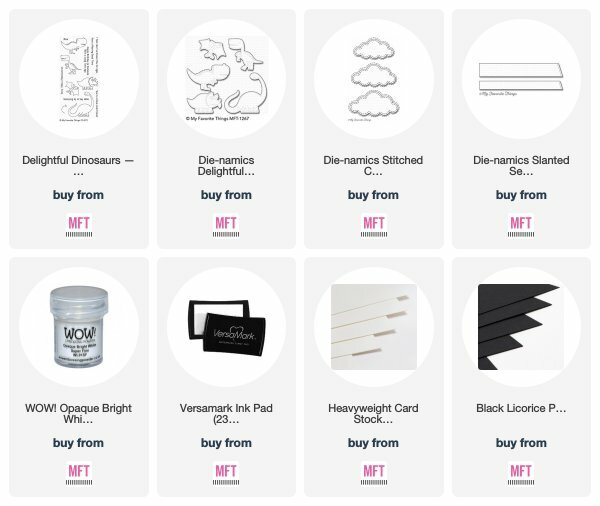 February flew by like a flash and here we are at the March MFT Release Countdown already. Wow! 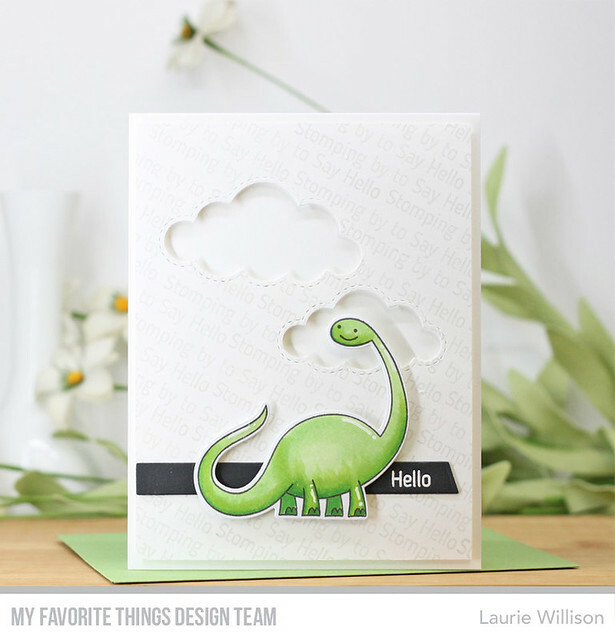 Lots of good stuff this month and today we are starting out with a peek of a super cute set called Delightful Dinosaurs. To create this card, I grabbed a sentiment from the stamp set, Stomping By to Say Hello, and stamped in a light gray ink all over the back panel. Next, I die cut the stitched clouds into that same panel. I used foam tape and popped the panel up on a white cards base. Next, I used the Slanted Sentiment Strip die in black cardstock and heat embossed the "Hello" from the same sentiment I used on the background. I colored up that adorable dinosaur and added him to the card front. The MFT Blog will have a list of the Design Team stops to make today. We have 4 more days of the countdown until release day, March 6th at 8pm CST, when everything you see this week will be available for purchase. Thanks for coming by today! Hope you come back tomorrow! Love your colouring - he's a really chubby, round little dinosaur, hehehehe. Such a great new release and I love your card too. Thanks so much for sharing with us. Great card, Laurie! I love how you inked the background up and die cut the clouds. Nice coloring on the cute dino! Super cute card, Laurie! 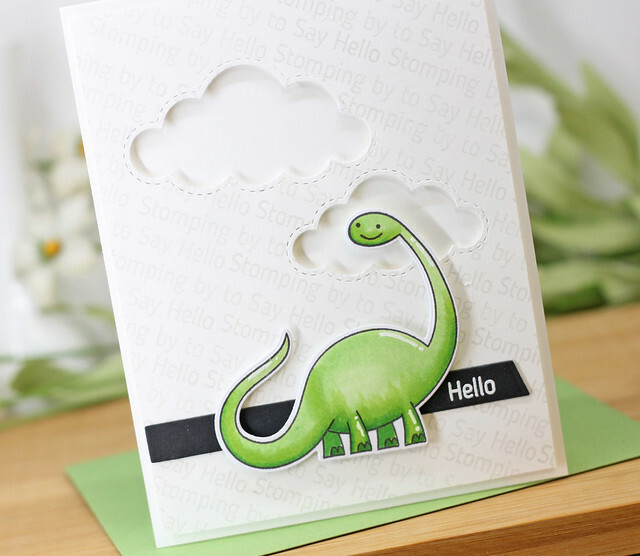 Love your stamped background and stitched clouds with this adorable Dinosaur...Fun card! Awww, that is a cute little dinosaur! This is adorable Laurie! Very cute! Love the clean look.